Scars come in all shapes and sizes. Though they can be unseemly, it’s your body’s way of showing you’ve healed. They make us unique and can be a visual reminder of the pain we’ve endured. However, wearing your wounds with pride doesn't have to be a visual thing. If you want to minimize the appearance scars, it can be difficult finding an effective scar reduction treatment. Most of us opt to hide them using makeup, or cover them with long sleeves or pants. But that’s no way to live. So, how to remove scars the right way? A stubborn acne scar isn’t healed by simply applying concealer. You have to go deeper. Scar healing begins with nourishing the skin. 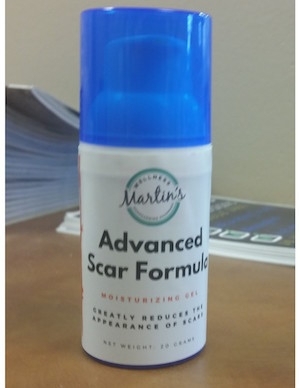 Martin’s Advanced Scar Formula can make a dramatic difference in the scar healing process. The anti-inflammatory, antioxidant, antibacterial, and antifungal power of this product dramatically improves the appearance of scarred skin. Acne marks are a thing of the past. The long-lasting moisturization, healing, and soothing protection of the gel means that acne scars, have met their match and have nowhere to hide. It may used post-surgically as soon as a physician has removed the bandages and sutures. 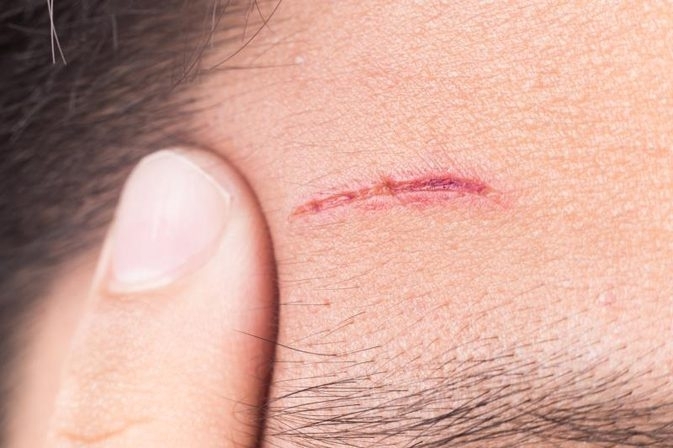 Though beginning a scar removal treatment the moment the wound has closed is always best, you can enhance the healing process on old or new scars. The product is rich in a proprietary blend of Pracaxi oil (containing skin-friendly fatty acids and lipids) and silicones in an elastomer dispersion network. It provides long-lasting moisturization, protecting the skin’s barrier, reducing water loss and amplifying scar healing. It is formulated without common allergens such as gluten, casein, dye, and parabens, which can inhibit scar reduction. The product is available without a prescription, but may also be used in compounded prescriptions prescribed by your doctor combined with other ingredients such as steroids or pain relievers. Stubborn scars not only affect how you look, they can affect how you feel. This product has made a tremendous difference for many patients in need of scar therapy, including patients with surgical, keloidal and acne scars. Find out how Advanced Scar Formula can make a significant difference.